Edgar Agustin joined iSixSigma 7 months, 1 week ago. 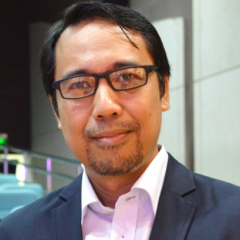 Edgar Agustin is an Electronics Engineer by education, and a quality management practitioner by profession. He has two decades of management experience in Asia and the Middle East. Edgar is a Certified Six Sigma Master Black Belt. He is passionate about teaching Lean and Six Sigma. Edgar is also a book author and motivational speaker in the personal development arena.